It is a very interesting book for those who want to explore more and deeper the relationsship of old traditions and family life in Japan. You will see how important the Confucianism was for establishing and regualting family and social life. Up to now. By reading you will …………………………..also dive deeper into the relationship to industrialisation and the specific change which was provoked. Worth to read. 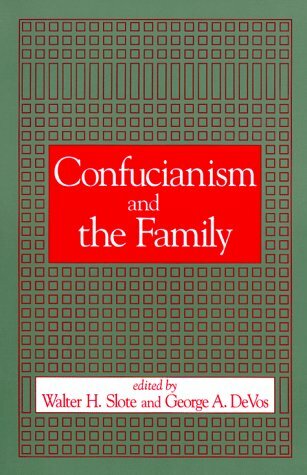 A collection of essays regarding the topics of Confucianism and the family, focusing on East Asia. De Vos’s point that Confucianism continues today in Japan almost “unconsciously” was of particular interest to me. While there is great variation in the family structure in Japan, especially since the traditional family structure the “ie” was outlawed by the US post WWII, the religious ideology continuing on in today suggests a continuity between generations that in most places is argued as fractured and lost. With the total birth rate of Japan being seriously low, making population prospects with care for the elderly of dire concern, the reformation of the “traditional” family or its maintenance is important. Interesting read.